When you are looking for a preschool for your little one to attend, you may see that some say they are accredited, some may say they are licensed, some may be both and still others may have neither. What is preschool accreditation and why is it important? 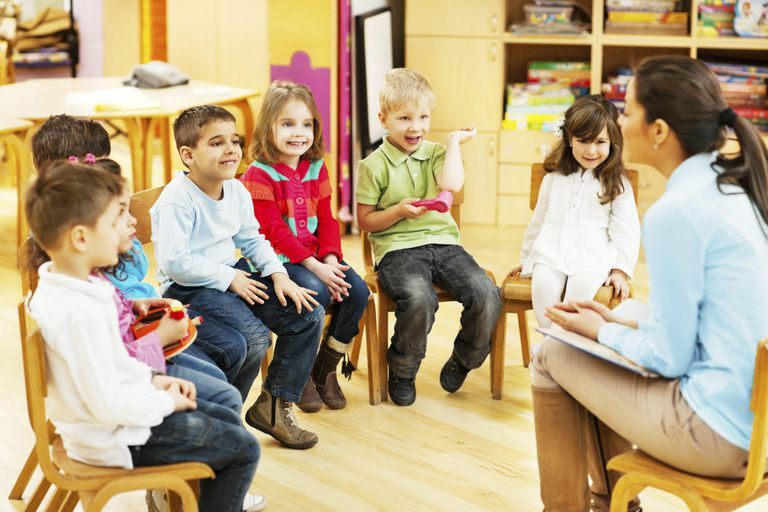 Preschool accreditation is a voluntary process that is designed to improve the quality of preschool programs. A preschool that is accredited is guaranteed to offer its students a high level of care in a cheerful, academic environment. Accreditation is a voluntary process that some schools undergo in order to prove that they meet certain academic, social and quality standards. For a long time, more common in junior and senior high schools and colleges, accreditation is becoming more popular in early childhood education. This is mostly because that while a good number of elementary, middle, and high schools are run by public school districts and are subject to certain standards and evaluations, the majority of preschools are run privately, whether it is through a corporation, church, community group, or some other organization. Accreditation ensures that certain quality standards are met in these places. Accreditation generally has three steps: a self-assessment done by the school where the administrators report their results to the accrediting agency, an outside assessment done by the accrediting body and approval. If approval is not granted, the school must go back to either the first or second step, depending on the results. The outside assessment usually involves school visits, teacher and administrator interviews and student observations. The process of accreditation can be costly and can take years, ensuring parents that the school has met very high standards for education and safety. The largest accrediting organization for preschool programs is the National Association for the Education of Young Children. Of the nearly 100,000 preschools and early childhood education centers nationwide, only about ten percent are accredited by NAEYC, according to GreatSchools. As the process proceeds and concludes, recommendations are made to preschool administrators on what they need to do in order to be accredited. And not every recommendation is related to academics. For example, a recommendation for health and safety might include checking heating and air conditioning units every year for efficiency and cleanliness. A safety audit done by a safety specialist or inspector will ensure that both the children and staff are safe in school. Academically, accreditation means that the school is meeting the highest possible standards with teachers who have met all of their educational requirements and who are continuing to train in the subject area. In addition, groups that offer accreditation require preschools to meet standards that are greater than state regulatory requirements. An accredited preschool program should not be confused with one that is licensed. In order to be accredited, a program has to be licensed but not all licensed programs are accredited. It is important to note too, that if the preschool your child attends is through a religious organization such as a church or temple, they are often exempt from many accreditation requirements. Check with each individual group for information on their standards and accreditation process.